Reconstructive Plastic surgery is the surgery that is performed to correct abnormalities in the body, be it congenital or those caused by infections, disease or trauma. The surgery normally helps restore the normal functioning of a body part that is affected. It can also be done to correct the appearance of a part of the body. We tell you here in details about reconstructive plastic surgery. What are the surgeries that come under reconstructive surgeries? Reconstructive surgeries are normally performed on the breast after a treatment for breast cancer, on the skin after treating skin cancer, to remove tumors, to treat the damage caused by burns or trauma on any part of the body. Scar revision following a surgery also comes under reconstructive surgery, so also Cleft lip and cleft palate correction . When is reconstructive plastic surgery done? Reconstructive plastic surgery is done for medical reasons, to address a trauma or to treat a birth deformity. Reconstructive plastic surgeries are not elective surgeries. They are surgeries that need to be done to maintain the proper functioning of a body part. 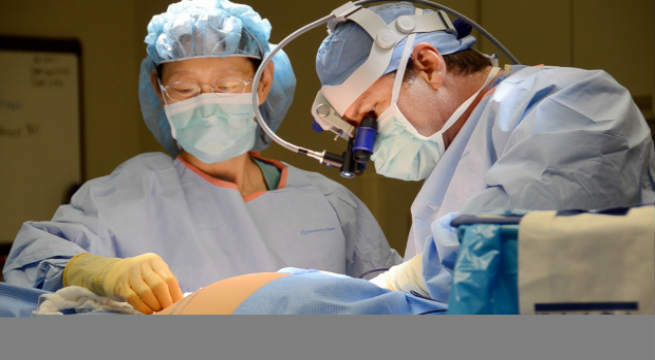 Of all the reconstructive surgeries performed, tumor removal surgeries are most common. They include removal or tumors and warts from the body. The unwanted tumor is removed from the body and the part that it affected is reconstructed to restore normal functioning. Similarly, if one is a victim of breast cancer or skin cancer, then the affected area is treated by reconstructive plastic surgery. Breast cancer victims may choose to have their breast rebuilt after a mastectomy. Skin cancer treatment leads to the removal of skin from the affected area. After that the skin is replaced by reconstructive surgery that involves skin grafting and replacing the affected area with skin flaps. In case of an accident or a burn, an integral part of your treatment includes “fixing” the damaged body part. After that, depending on the extent of damage that the trauma has done to your body, plastic surgery would be needed to restore normal appearance and functioning of the body part. Birth defects like cleft lip, cleft palate or malformation of the chin are common among children. The defects cause speech problems in the children, prevent easy movement of the jaw and in chewing and swallowing food. Restorative surgeries help restore normal appearance in the kids and also cure the speech and jaw movement problems in them. Plastic surgery to improve or enhance appearance is elective and one can live without them. These surgeries are not covered by your insurance. However, restorative plastic surgeries are more of a requirement than a preference and most of them are covered by your health insurance. You need to ensure that you find a board certified plastic surgeon who is reputed for restorative plastic surgery since most of these surgeries are complicated, often needing multiple surgeons other than the plastic surgeon and are integral in helping you achieve normal appearance and functioning of the affected body part.